It’s always a satisfying feeling when you’re able to confirm all of your sessions, all of your panels, and all of your speakers for a conference. No matter how much planning you do in advance, it always seems to come down to the last few days. This year we’ve locked down the Newleef agenda on the Friday before a Wednesday conference – a new record in preparedness! 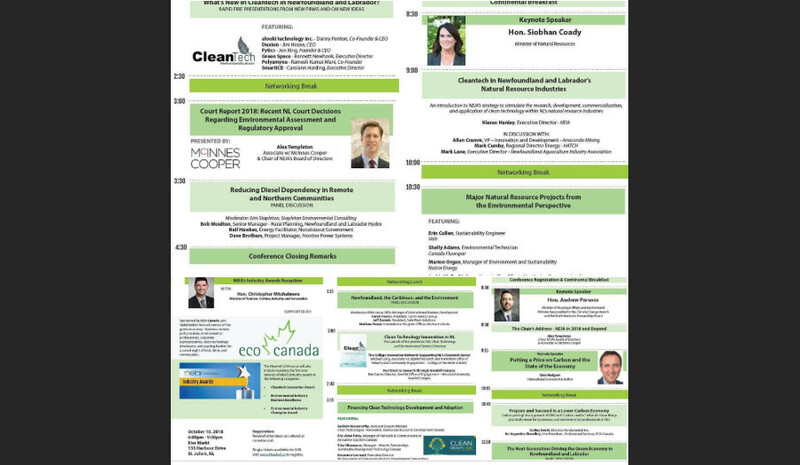 The last panel we have confirmed is one we’re really excited about: Cleantech in Newfoundland and Labrador’s Natural Resource Industries. The Conference Board of Canada predicts that the global market for clean technologies is expected to grow to $2.5 trillion by 2022, more than doubling its size from 2011. A recent NRCan report identifies natural resource sectors as Canada’s best opportunity to establish a global strength in clean technology, and recommends increasing access to global markets for those involved. We’ve got one heck of an agenda this year. Check out what you shouldn’t be missing: click here. What does this mean for Newfoundland and Labrador? 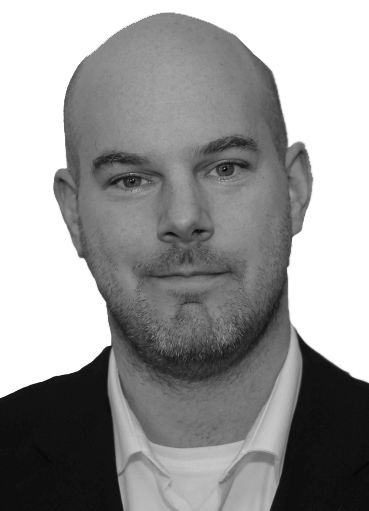 Well if we’re going to carve out a niche competitive advantage for ourselves in the clean technology space, it is likely to be within our natural resource sectors – and the opportunity is vast. The solutions we develop here to environmental challenges can be exported through industry supply chains worldwide. In this Newleef session, I am going to have the opportunity to give some background on what NEIA has been doing this year to better understand this opportunity, and what our plans are to help exploit it. But the main event is our panelists. I’m going to have the chance to pick the brains of Allan Cramm (VP Innovation and Development – Anaconda Mining), Mark Cumby (Regional Director Energy – HATCH), and Elizabeth Barlow (Sustainability Manager – Marine Harvest Atlantic Canada) on what clean technology means in the province’s mining, oil and gas, and aquaculture industries – and what the opportunities are from their perspective. 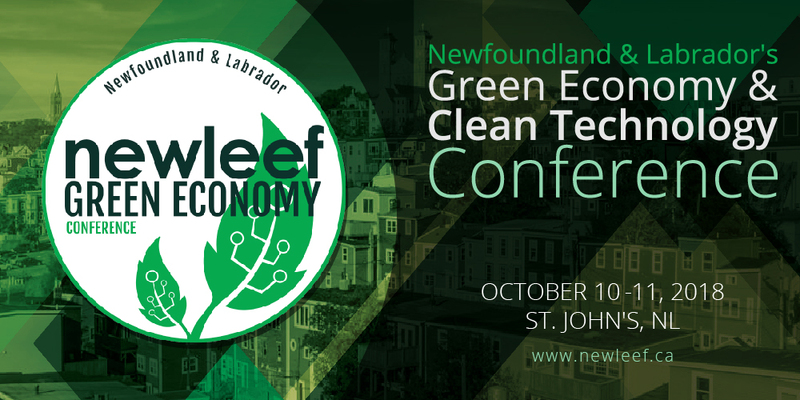 I hope you’re there to take in the panel and to ask your questions – but today is your last day to get your Newleef tickets. So be sure to register! Have a great Thanksgiving Day weekend.